How do you become friends with someone you don’t know these days? Is it still very much like it’s always been? A coffee shop? School? The skatepark? The mall? A party? Or is everything you used to do with those things now done through that small device you keep next to you while you sleep or carry in your pocket/hand/backpack/purse 24 hours a day? Is what was once weird now normal and are the goal posts for the new normal always moving so that what is now normal will someday be weird again? Twenty years ago, I had a friend who thought I should be friends with her friend (did you get that?) so she gave me this other girl’s phone number and encouraged me to call her. It was the first time in my life I had actually dialed someone without knowing who they were and said, “hey, uh… my friend thinks we should meet and be friends.” This was not a romantic set up, nor a blind date, it was an intellectual one. She was a writer and a director, she loved these things just as much as I did only she was much more outgoing than I was so her getting a call from me was, in fact, not nearly as strange as it was give her a call, in fact, it was how the “real” world worked for her. Something she did all the time. And so this friendship began. You might be asking, what does this have to do with Reed Morano and why is Reed Morano in Berrics Magazine? Who is she? What does she do? Does she skate? Well, she’s Reed Morano. She’s now a director who started out as a cinematographer; she just won an Emmy for her directing on the hit Hulu series The Handmaid’s Tale;she is in post-production for her second feature film, I Think We’re Alone Now, with Peter Dinklage and Elle Fanning; and she’s in pre-production for her third film starring one of my favorite actresses, Blake Lively. And no, she doesn’t skate, but she doesn’t have to. She’s my friend and I know her through my friend I cold called twenty years ago and said, “Hey… umm… my friend thinks we should meet and be friends.” How did I know they were friends in the first place? Well, because she posted a photo of her and Reed together at a birthday party on an app inside that thing we keep next to our heads while we sleep or in our pocket/hand/backpack/purse twenty-four hours a day. That thing that’s kind of taken the place of the mall, the party, the coffee, and school. That thing that made me reach out to her and ask, “You’re friends with Reed Morano?” to which she replied, “Yes, you two would love each other. I’m going to introduce you.” And so it goes. The new normal. The new way to meet a friend. I cannot tell you how much I admire Reed’s work. And not because she’s a woman. Yes, she’s a woman but her work transcends any gender boundary there is. She is not one of the greatest female cinematographers living today in my opinion, she’s one of the greatest cinematographers living today and as she moves now into her third movie she is going to not only be one of the greatest female directors of all time, I am certain, as time rolls on, she will be considered one of the greatest directors of all time. 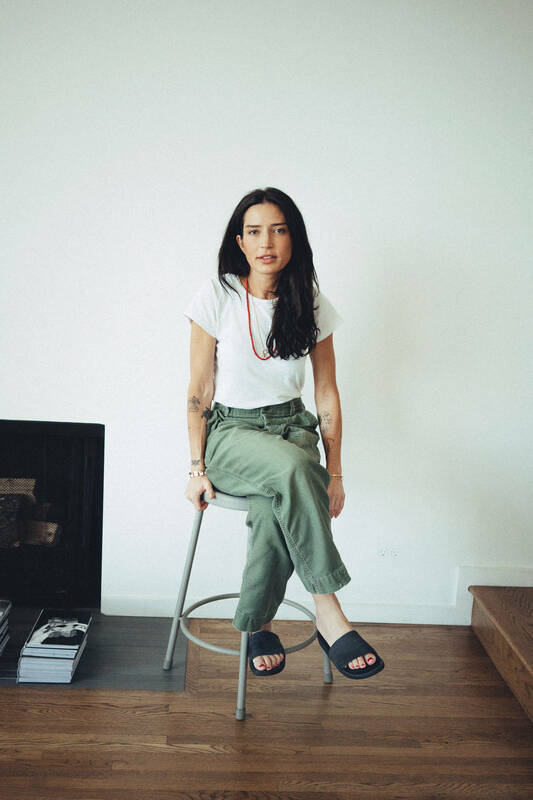 She already is, and you’re hearing about it first so in the near future you can impress your friends when you’re out at the movies one night watching her work and say, “I heard about her first through The Berrics,” because Reed Morano *is *the next new wave.